Curious how fellow-researchers are experiencing the new Publishing Campus? Here we share a young researcher’s thoughts. 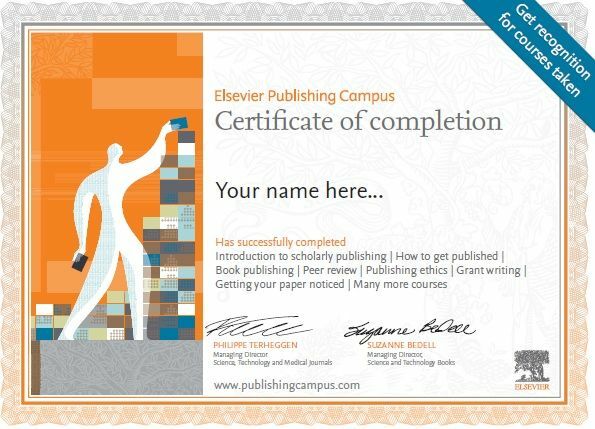 In April 2015, Elsevier launched Publishing Campus; a free and open online training platform for all researchers or training partners in academia. It offers online lectures, interactive training courses and professional advice from experts within the industry. Here we interview one of its users, Djordje Romanic, who is working on two PhDs simultaneously (one from University of Belgrade, Serbia, and one from Western University, Canada). What are the biggest challenges you face in writing up your research? The main questions that go through my mind as I write my paper include: Is my English good enough (I am not a native English speaker)? Do I have enough text in the Results section? How much of the literature review should I include in the paper? Should my graphs be in color or simply black and white? In addition, young researchers often have to balance their own ideas with those of their supervisor(s) on how to conduct research, how to present it, where to publish it and so on. For that reason, I believe it is crucial to have a clear understanding of the research topic, expectations and distribution of work. Otherwise things can get complicated and researchers can feel somewhat “lost”. What has been your experience with the Publishing Campus? The Publishing Campus is an excellent free source of information for researchers interested in publishing in scientific journals. Lectures are concise and to the point. There are no long texts on how to do something. The English used in both the lectures and texts is simple to understand i.e. one doesn’t have to have an Oxford dictionary on hand to understand it! I think most non-native English speakers, (and even native English speakers), appreciate this. The individual sections are nicely organized in accordance with different topics. It’s very easy to navigate and find your way. The icing on the cake are the certificates that you can download after completing a lecture. Although not necessary, it’s a nice addition. One suggestion I have is the ability to download a single certification when you have completed all programs. Which modules have you used the most? It would be the modules in the College of Skills Training, particularly those in the research writing skills and publishing in general sections. These three lectures are excellent pieces of information and I think that everyone (even experienced researches), should take a look at them. Here, I found answers to all of my questions that I listed. In fact, I found the research writing skills to be the most important resource on the Publishing Campus website. What else did you learn as you went through the various modules? Initially, I thought that the cover letter was not too important. I had the impression that it was just a formality and nobody really read it. How editors look at your paper explains the importance of the cover letter. It also goes through how editors find reviewers and how they communicate with them. Secondly, although I had some idea about what goes on “behind the scenes” during the review process, I didn’t know all the ins and outs. For instance, I never realized that editors sent a list of questions to the reviewers and asked them to review the manuscript in accordance with these questions. I used to think that editors just sent manuscripts together with supplementary material and asked the reviewers to review it without specifying what and how. I found the module The journal publishing cycle very insightful. There are some parts in that lecture that are simply good to know, although they may not be crucial for a researcher to know prior to writing his/her research. This can be best explained with a metaphor: you can drive a car without knowing how the engine works, but the best rally drivers know their car in depth. I believe the same goes for the best researchers. Do you think the Publishing Campus helped you with the publishing process? Yes, I think it improved my research writing skills. Now I realize that not having 100 pages in the Result section is actually a good thing! Also, it’s not necessary to cite all papers in your field, but only those that are most relevant to the research you are presenting in your paper. Being concise is an actual advantage, not a flaw. I also learned that asking a native English speaker friend or colleague to help you with English is not something that violates the ethics code. What advice would you give to fellow researchers who have not yet published? I like what I am doing. I like research, teaching and publishing in particular. Keeping that in mind, I have two pieces of advice to offer fellow researchers, especially to those just starting out. Pick a field of research that you truly enjoy and have a passion for. I believe you will be more successful than those who pick a research field because it sounds more profitable or more “important”. It’s difficult to go the laboratory or office and work on something that you don’t particularly like. Unfortunately I’ve encountered people in these situations. Djordje Romanic obtained his BSc and MSc degrees in meteorology from the Faculty of Physics, University of Belgrade, Belgrade, Serbia. Currently, he is doing two PhDs simultaneously. Namely, he is finishing his PhD in meteorology at the Faculty of Physics (Institute for Meteorology), University of Belgrade and he is also in his last year of the PhD program at the Western University, Department for Civil & Environmental Engineering (WindEEE Research Group), London, Ontario, Canada. Both PhDs are on the subject of wind.